A union organizing Amazon.com Inc. (AMZN.O) employees in New York has filed a complaint accusing the company of illegally firing one of the labor group’s most prominent supporters. The Retail, Wholesale, and Department Store Union submitted a complaint Wednesday to the National Labor Relations Board alleging that the retailer violated federal law when it terminated Staten Island fulfillment center employee Rashad Long. In December, Long joined a rally at City Hall protesting Amazon’s proposed expansion in Queens. During the protest, a participant read out a statement from Long criticizing Amazon for what he deemed disrespectful management, unfair discipline, inadequate security and poor health and safety. A video of the event was posted on the union’s public Facebook page. Federal labor law prohibits companies from retaliating against employees for organizing. But the government is not allowed to assess punitive damages, and even in cases where employees prevail, winning reinstatement can take months or years, during which terminated workers may go without pay and their co-workers may be deterred from organizing. Long disputes Amazon’s account. "The incident that Amazon cites as the reason for my firing is bogus," he said in a statement passed on by RWDSU. He told the New York Times he picked up the wrong item from a robotic pod and reached back out to return it, which Amazon discourages because of the risk of injury. He said other workers returned items to a pod without serious consequences, the paper reported. The union, an affiliate of the United Food & Commercial Workers union, announced in December that it was working with employees seeking to unionize the Staten Island facility. At the time, Appelbaum said Amazon’s plans to build a major new campus in New York gave labor activists unprecedented leverage to force the company to eschew union-busting there. Amid opposition to Amazon’s expansion plans, company officials met with union leaders and, according to Appelbaum, agreed in principle to a deal that would restrict anti-union tactics. The next day, Amazon said it was abandoning plans to employ some 25,000 people in New York and would place planned hires in other satellite offices in the U.S. and Canada instead. "New York City is a union town and no company should be able to trample on the rights of workers," Jane Meyer, a spokeswoman for Mayor Bill de Blasio, said on Wednesday. "If true, these allegations are unacceptable and we implore the National Labor Relations Board to hold Amazon accountable." Appelbaum said his union continues to hear from and talk to Amazon workers at facilities including the Staten Island location, but declined to say more about the status of the unionization effort there now that Amazon has dropped its expansion plan. “We would hope that elected officials, regardless of what they felt about the headquarters, would express their outrage at the way that Amazon is treating its employees,” he said. 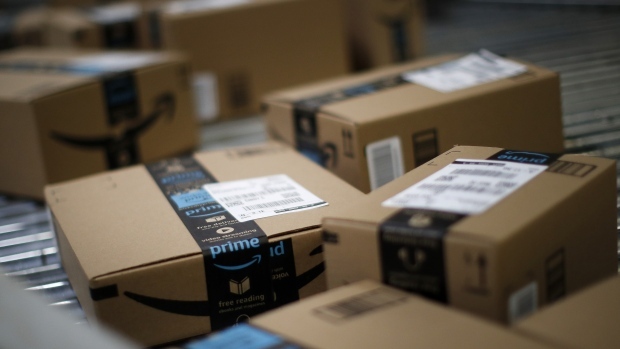 Amazon has been the subject of more than 50 unfair labor practice cases, according to NLRB records, with most of the complaints brought by workers being withdrawn or dismissed, according to the NLRB. An employee at an Amazon warehouse in Hebron, Kentucky, in December complained to the agency about an unjust termination and that case is being investigated. In 2014, Amazon agreed to change some of its warehouse workplace rules to settle a NLRB investigation into allegations it unfairly punished workers who spoke out about working conditions. The company agreed to rescind a verbal warning given to a staff member at a Phoenix warehouse who voiced concerns about security in the parking lot following thefts from vehicles.